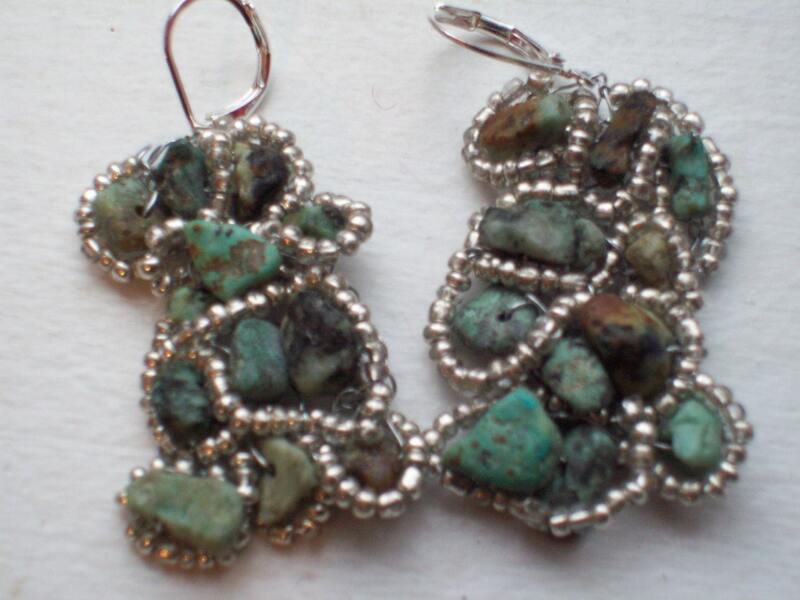 The beautiful variations in the turquoise stones lends a very earthy feel to these earrings which are highlighted by the silver seed beads. I start with a knitted base made of the stones and wire. I then "sew" the silver beads on to the base and the earrings take shape by themselves. They are attached to a lever-back earring wire and are very comfortable to wear. Their length is approximately 13/4" and 1" at their widest point. These earrings are one-of-a-kind and made with love! When purchased, the earrings will be shipped in a padded envelope.